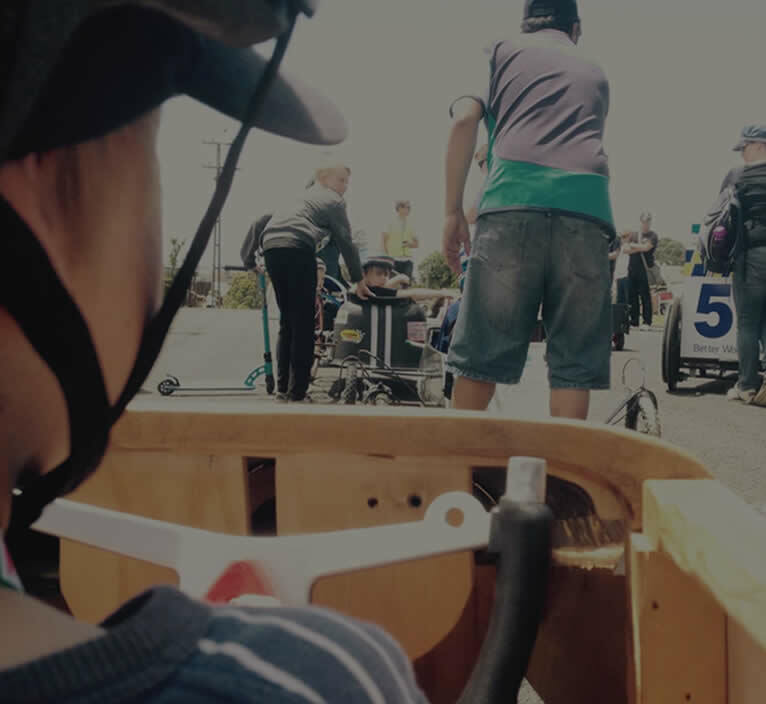 The Mangere Bridge Trolley Derby is open to everyone - little kids, big kids, and adults. If you can build it, you can race it. Kids, get a parent, Uncle, Neighbour or grandparent to help you out. 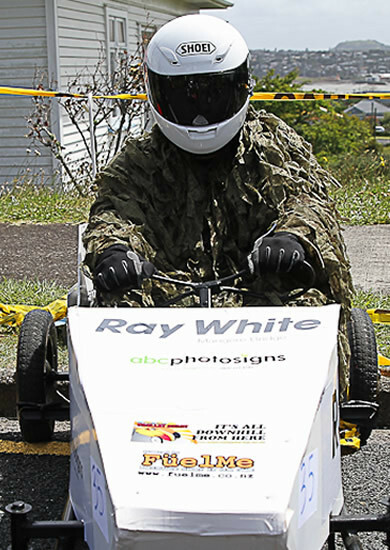 Adults, you can build a cart and race it yourself, or why not get a corporate team together at work and build and race it together. 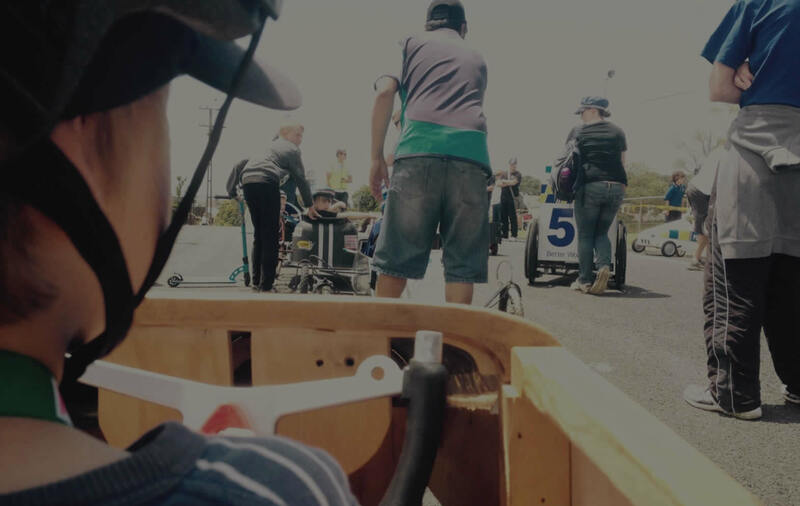 2018 Mangere Bridge Trolley Derby? and start building your trolley for next years event now. If you need some help with your trolley we'll be starting up the Trolley Build Clinics soon. We're going to have some local build experts, plus I'll be there with my trusty Trolley build book for ideas. This year we've organised loads of spare parts from a local scrap metal dealer including wheels, brakes and bike frames so you can come along and grab yourself some free stuff. If you'd like to donate some old parts that would be suitable for a trolley please bring them down - we love old mountain buggy's, runner bike's, BMX's and wheelchairs - in fact just about anything with wheels and brakes can be made into something. 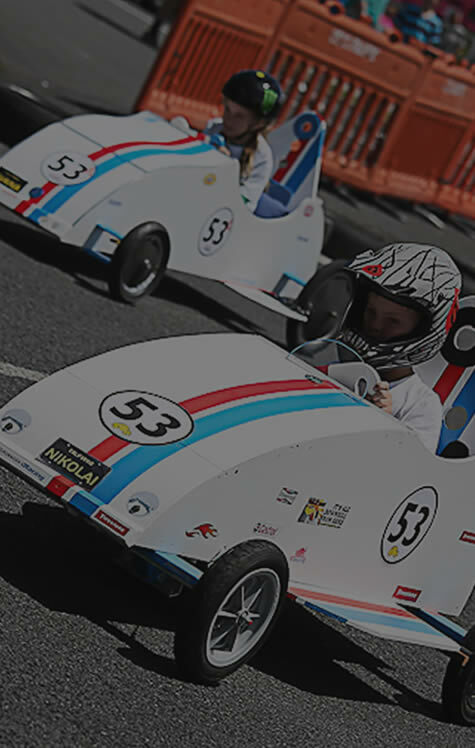 If you've already got something built please bring it along to show other people what you've got....unless it's a secret and you want to save it until raceday ;-). Location: Mangere Bridge Scout Den, Taylor Road, Mangere Bridge, behind the Bowling/Tennis club, (downstairs in the basement).